Hubby loves Tony Roma's for comfort food. This time we opted for some healthy greens. 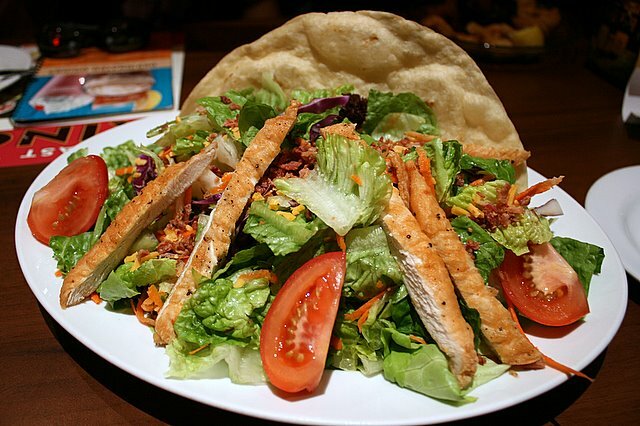 True to American style, the salads here can be humongous! The Santa Fe salad (S$16.90) is a carnival busload of crisp lettuce topped with fresh tomatoes, warm grilled chicken, confetti of bacon, cheddar and raw carrot streamers. That huge taco shell is more of a display item, I think. It tasted a little stale. We were given a free appetiser because we filled out a customer survey online for a previous visit. 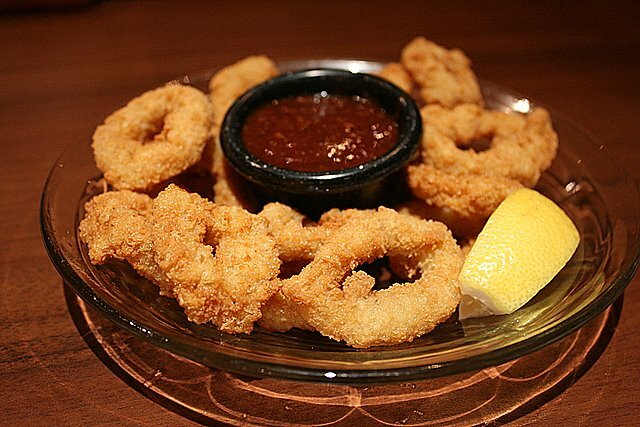 For a change, we chose the calamari (S$12-ish) instead of the onion loaf that we usually go for. Hmm. I've never had calamari with batter that's this rough and rock hard! Interesting zesty BBQ dip too, instead of the usual mayo-type dip. But of course, the biggest reason to come here. Still the best ribs in town! 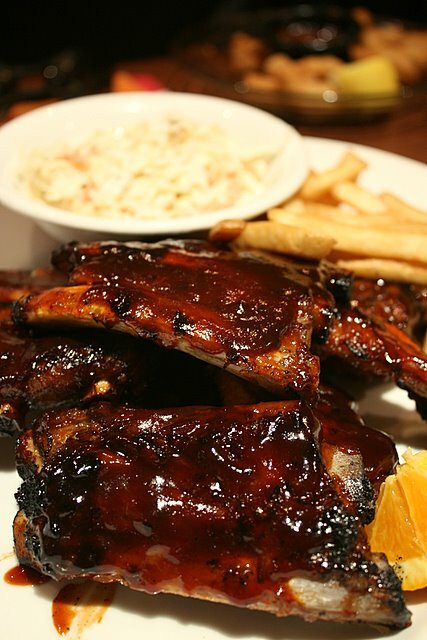 The star-studded sampler (S$33.90) gives you tasting portions of the four flavours that they carry - Original Baby Backs, Carolina Honeys™, Tony Roma’s Red Hots™ and Southern Smokey Beef Ribs. You didn't think we'd come here and not have meat, did you? We've Tony Roma's in KL too, but I haven't gotten around trying them yet. I wonder if they'd be the best place in town for ribs too, here. Wow... that's salad looks good. Interesting add on taco. 2 weeks ago, wanted to go there, but the queue was too long.